As a shopping information site, Better Cigar may occasionally receive commission for linking to other websites. It is important to note that this does not reflect or influence the content and the reviews published on this site. The views and opinions expressed on this site solely represent that of Better Cigar, and not those of the manufacturer. If you have any concerns about the content on this site including claims, statistics, or other representation regarding a product, we encourage you to get in touch with us. We also encourage you to contact the manufacturers to get complete and accurate clarification about their products. 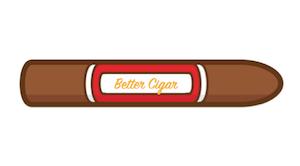 Amazon Affiliate Disclaimer Notice: Better Cigar is a participant in the Amazon Services LLC Associates Program, an affiliate advertising program designed to provide a means for us to earn fees by linking to Amazon.com and affiliated sites.